The wrestling world hasn’t even had enough time to recover from the death of the legendary Dusty Rhodes, yet now TMZ is reporting that Roddy Piper passed away at the age of 61 from cardiac arrest. This is a complete shock as Piper has been in the public eye a lot in the past week, talking about the Hulk Hogan controversy to various sources. Piper battled cancer years ago and won, and still appeared fairly often on WWE programming hosting Piper’s Pit and making other various appearances across the country. Piper is also well known in Hollywood for the cult classic “They Live” and various other movies that he was still doing often in the past few years, so the impact of his passing reaches far beyond the wrestling world. Piper is an iconic figure in wrestling and played a huge role in putting WrestleMania on the map; it’s hard to imagine him being gone since he was still a very outspoken (and often controversial) part of the business, especially with his podcast that had been making headlines even earlier this month. 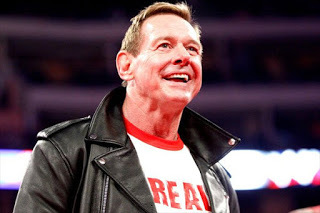 We will feature a more in depth tribute to the “Hot Rod” once we have ample time to let this sink in, this is a very tough one as wrestling has lost one of the all-time greats in Rowdy Roddy Piper.